This post has been read 1628 times! 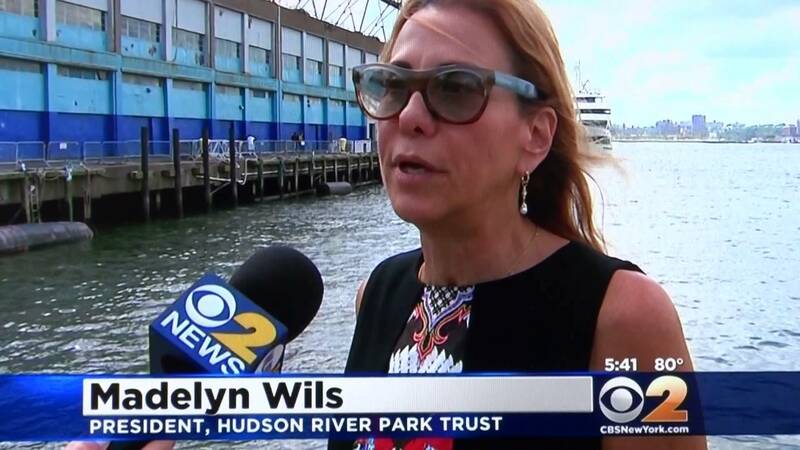 BatteryPark.TV has been the only source to report on the egregious leadership of the Hudson River Park Trust (HRPT). The CEO of the HRPT is Madelyn Wils, a socialite who married into wealth, then became a Chairperson of the CB1 and the CEO of the HRPT. It is unclear what education or job experience led to her senior level jobs at all of her past organizations. The Chairman of the Board of Trustees is Diane Taylor, another white woman who married into wealth (although she is not formally married to Michael Bloomberg). In the State of New York, entities such as the HRPT or BPCA are managed by appointed officials who are usually cronies of the governor. Much like U.S. ambassadors who are utterly unqualified, but who raised cash for the winning president, these state appointees are often incompetent. A recent lawsuit filed by activists in Article 78 court to oppose the proposed island park at Pier-55, to be built by donated cash from Barry Dillard and his pal Diane von Fürstenberg, sheds light on just how lawless has been the HRPT. The suit alleges that the HRPT has violated the public trust doctrine, the SEQRA (state law), CEQR (city law), and the Hudson River Park Act (state law). Not only is the lawsuit opposing the Pier-55 project, but it is essentially claiming that Madelyn Wils and the HRPT are ignoring the state laws that govern the HRPT. Their alleged hubris and above-the-law mentality smack of the same behavior as exhibited by Dennis Mehiel, the CEO and Chairman of the BPCA. Both officials, appointed by Governor Cuomo, seem to going by the same Albany playbook. This lawsuit is also of interest to BP.TV viewers because those same laws protect our park space within Battery Park City. For example, the BPCA recently announced that it was considering tearing down the Irish Memorial, which is park space, but then backed away because of the litigation that would have been required. BP.TV will follow the outcome of this Article 78 challenge to Pier-55. Estuarium at Pier 26 set to begin construction in 2017? Really? This entry was posted in - City government, - Community Board 1, - Downtown oversight, - Real estate, - State Government, Battery Park City and BPCA, Hudson River Park Trust. Bookmark the permalink. A suitably provocative article. Thanks for covering it. I appreciate the focus on over-use of authorities and their close relatives, too often to avoid compliance with laws intended to inform and involve the public in governmental decisions.